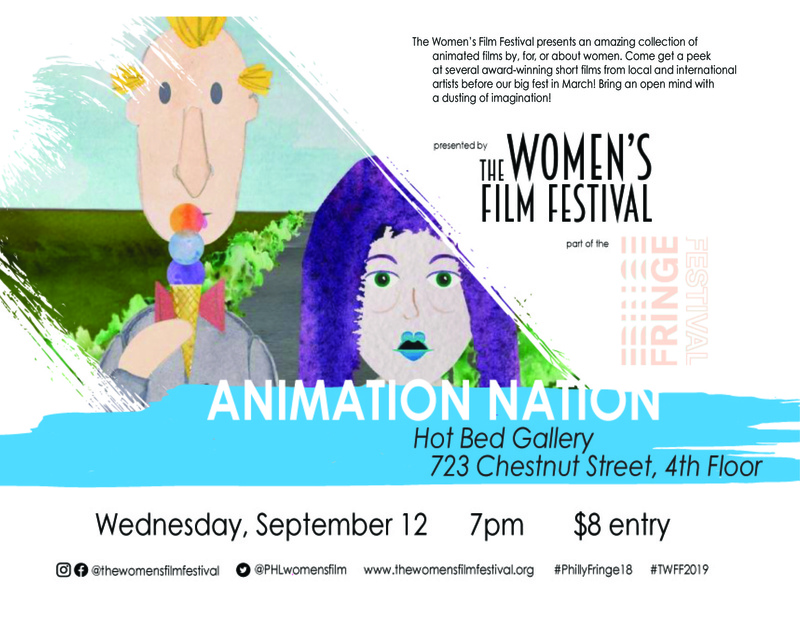 The Women’s Film Festival presents an amazing collection of animated films by, for, or about women. Come get a taste of award-winning short films from local and international artists along with a preview of our nine-day festival in March! Bring an open mind with a dusting of imagination! Accompanying our program will be an art exhibit showcasing emerging women artists in the Philadelphia area. TWFF is teaming up with Creating United Empowerment, a Philadephia-based charitable online art gallery representing women and genderqueer artists. Portions of the sales will be going to Women Against Abuse. Follow us on Instagram @thewomensfilmfestival to see our artists—from sculptors to painters to illustrators—take over our Story!